Meet Michael Silveira, a California Ripe Olives grower who loves to go dry fly fishing! 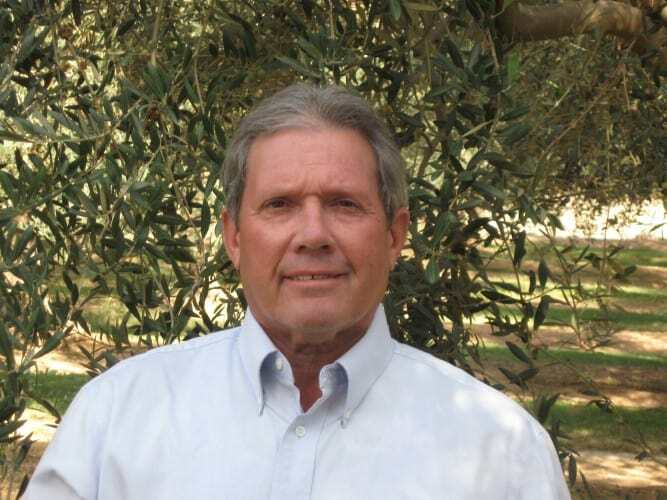 Michael is also currently serving as the Chairman of the Board for the California Olive Committee. Learn what his favorite thing about farming is! Michael: I’ve been sitting in my office this morning thinking about what the next step is with my olives. We’ve had a lot of rain and a lot of wind. We had a fairly big weather event, about three inches of rain. Since olives are an evergreen I’m going to go out there and make sure we didn’t lose any trees. But I am also very happy we are having rain. Michael: Farming has presented a great lifestyle for me. I was raised on a farm and I’ve had the opportunity to raise my children on a farm. As a young child I enjoyed raising plants. And understanding the challenges of the soil, the different types of soil and putting together a program to grow them whether it be a nutrient program or pruning program to fit that particular plant. Today I raise olives and walnuts and I really enjoy the industry. I’ve been raising olives for over 30 years now. I’m a new walnut grower; I started about 3 years ago. Michael: I’ve lived in this community most of my life. I’ve served on the local elementary board the last 16 years. I’ve also worked within the olive industry serving on the California Olive committee, a federal marketing board for 24 years plus. Michael: I was raised on a farm and I was raised bailing hay and working with my father. I just enjoyed the open spaces and when I went to college I actually got an agriculture degree and became a pest control advisor in the state of California. I just enjoy working with plants and trees. I’d say I have a green thumb. We interact well, the plants and I. I enjoy it. I really enjoy working with fellow farmers too. It’s a great community. Somewhat a small community, but the people are wholesome and genuine. Michael: My most favorite hobby is fishing. I am an avid catch and release trout fisherman. Specifically dry flies. I catch them, enjoy them and then release them back so others can enjoy them too. I travel the Western United States to find rivers to do just that. Michael: I’d say they would need to work as hard as they can to understand the industry, to understand what it takes and to understand it’s going to take a lot of hard work. It’s going to occupy a lot of your free time. You are somewhat married to the business if you want to be good at it. And it’s good to get an education for it. Farming takes a lot of capital resources; you need to understand the economics of it. So be ready.